Bottle charges: would you pay more to tackle the plastic crisis? Environment Secretary Michael Gove has put forward plans for a deposit return scheme on plastic drinks bottles and cans. Our guest author, Will Coultas, asks: is this a step towards combating our waste problem or an unfair new levy on consumers? People in England could soon have to pay a deposit when they purchase drinks that will be refunded upon the return of the container, under plans announced by Environment Secretary, Michael Gove on Wednesday 28 March. The deposit scheme would likely cover single-use glass and plastic bottles, as well as steel and aluminium cans. The details are subject to consultation, with the amount of the deposit yet to be decided. Scotland has already announced plans for a similar scheme and in Wales, ministers said they want to help implement a UK-wide system. The scheme seeks to counter Britain’s dismally low rates of recycling, where just 57% of plastic bottles are recycled. This is starkly contrasted with nations that already use deposit return schemes, where between 80% and 95% of plastic is recycled. And Britain can’t export it’s plastic problem for very much longer: the Chinese government recently banned plastic waste imports, halting the staggering 500,000 tons a year of plastic recycling the UK has been sending to the country. 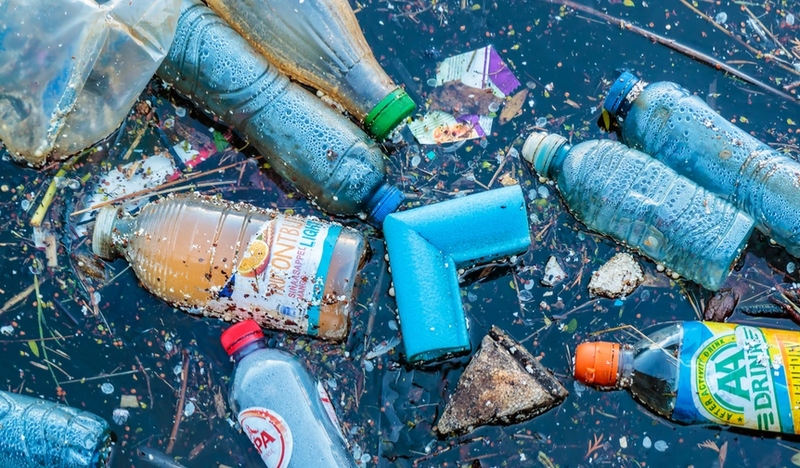 The details of the government’s plan are still to be decided, but in other countries where deposit return schemes have been introduced, the price of drinks increased by between 8p and 22p. This is then refunded to the customer upon return of the bottle, either from the point of purchase or through ‘reverse vending machines’ installed in supermarkets and recycling points. In Germany, retailers and the beverage industry bear the costs and keep the unclaimed deposits in return. The German system is estimated to have cost £600m to set up, with a further £700m in maintenance annually. However, in other nations, the costs are passed onto the consumer. Additionally, many countries using deposit return schemes have a centralised non-profit system that operates the collection points and recoups any unclaimed deposits. The new 5p bag charge? Interestingly, the introduction of the 5p levy on single-use carrier bags in 2015 has seen consumption reduced by 83%, so could this new plastic bottle deposit scheme have the same effect? What do you think of the government’s proposal? Is this the answer to our plastic bottle waste problem? Are you happy to pay more for plastic bottles and be refunded when you return them? This is a guest contribution by Will Coultas. All views are Will’s own and not necessarily those also shared by Which?. How are us disabled people to get the deposit refunded following deliveries ? A lot of these “do-gooder” schemes often fail to come up with “fully inclusive” proposals. In other news yesterday, I was appalled to hear of pilot schemes that won’t let people vote, if they cannot bring photo id to the polling station. Only by discussing proposals and studying what happens in other countries are we going to come up with a workable scheme. We could have started twenty years ago, before our oceans were polluted with plastic waste. It seems like a good idea to expect people to bring photo ID to polling stations. At present, all you need to do is give a name and corresponding address, which may or may not be your own. The “deliverer” could remove your bottles and credit your account, perhaps. Voting is a serious business, and can be abused. Proof of identity is reasonable but many may not have an “official” photo like a passport or driving licence. A utility bill, bank or credit card statement ( or even a credit or debit card) should be good enough.